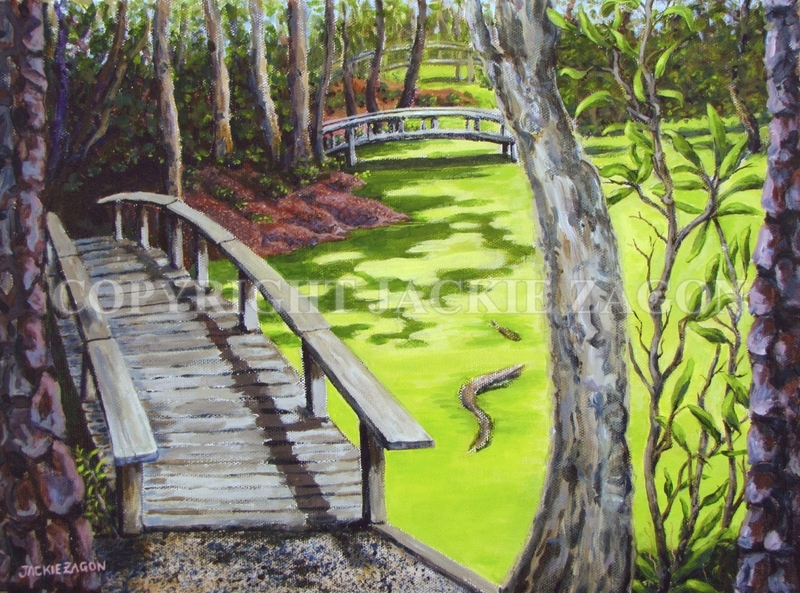 Acrylic on canvas, landscape,3 foot bridges cross duckweed covered swamp. Location: Nags Head Woods Preserve, OBX, NC. Colors: greens, magentas, grays. Frame: wood, 2.5", antique gold, linen liner.